With a kingdom to save and a dragon to slay, not to mention the loss of a dear friend and the first stirrings of a childhood crush, transitioning into a female is literally the least important problem on Crown Prince Aster’s mind. See, there’s this dragon attacking Caledon, and the only way to defeat it is to find and wield the mythical Empress Sword—a sword that will not bear the touch of any man. So Aster does what any sensible thirteen-year-old crown prince would do: he gets magical gender reassignment surgery. The narrative continues to refer to the prince as “him” because for Aster (as he still thinks of himself—though he quickly realizes that introducing himself by the prince’s name would draw confusion), the transition to “femaleness” is at first only a matter of changing some outward behaviors—like when the prince has to convince people that “he’s” become a girl, but maintains a comfortable male wardrobe, manners, and speech with friends. The prince’s own perceptions of “femaleness” are challenged and turned over frequently, but Aster’s assumptions are the fault of a royal upbringing (and a perception of “maleness” that is also quite skewed due to that heritage). Aster’s transition is a non-issue in the book, with no broad, overarching statement made about transphobia. There is no fear over body image, shame, disgust, or humiliation—these things are entirely absent from Aster’s transition experience. And that’s a statement in and of itself. The fact that Jaxton doesn’t make a big flurry/trauma/statement about the gender change—nobody calls Astrid gross, unnatural, or a freak when they find out she used to be the prince—is a small but important victory. 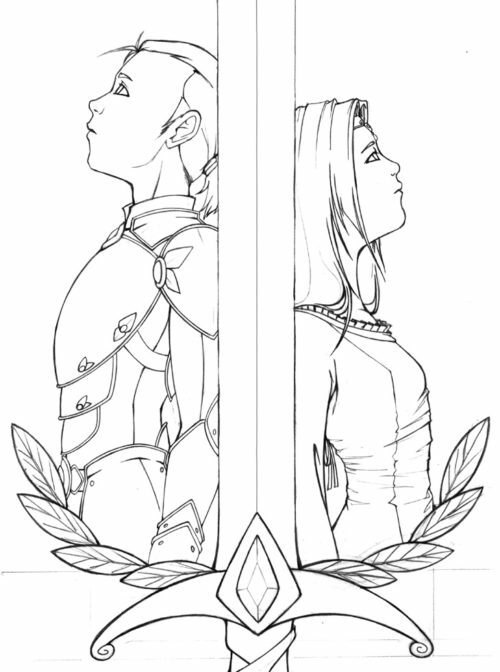 In Aster’s arrogant and selfish selflessness, we see the ego of a child who has always been treated like an equal and a grown-up, played fantastically against the condescending humiliation of being a “little girl.” More important is Aster’s realization that people were just as condescending when she was a boy, but in a more subtle way because she was a prince. And Aster has no problems with being a girl in love with another girl. Aster is also rather egalitarian in other relationships. Aster is good friends with a stable boy and doesn’t see why a merchant’s daughter can’t be asked to dinner, and when confronted with a monster who displays intelligence, actually listens to what the dragon has to say and concedes that the dragon’s point of view and concerns are as valid as the humans’ are. In that moment, the book is elevated from mere adventure story to a tale about equality, compassion, and the basic rights of all people—be they dragons, foreigners with unfamiliar features, or boys in dresses. 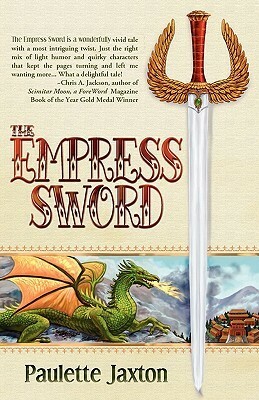 In the end, the success of The Empress Sword lies in the normalizing of transgender characters and heroes who treat everyone around them equally, and offering a fantastic quest adventure yarn for young people that teaches as well as entertains. 👍Read the sample of E.Sword on Kindle. Found the primary characters likeable and would most probably be happy to continue the tale. Not especially for the transgender aspect but more so for the further adventures of Aster & the gassy 🐉! Four days and only one previous comment? Kinda tells you something, doesn’t it? That we are all busy reading this book? Because thats what I did instead of reading the comments. There are a few older gays on here who are a bit behind on the times when it comes to the LGBTQ community. Who at least SEEM more interested in protecting themselves than supporting other like minded marginalized groups. I imagine many expected this, so decided to skip the comment section. Good for you. But I seriously doubt that more than a handful actually went out to get this book, if that — within only 3-4 days. Not sure who that is directed at, because it doesn’t apply to me, personally. I keep pretty much up-to-date on the entire community. Or was that some sort of stab at an insult to me? But, someone from Arizona …. well, ….